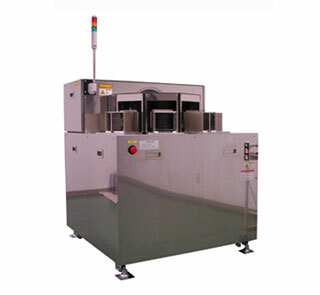 This system can add the transportation mode of customer specifications. For example, the upward communication, the lot division, and the lot integration, etc. Contributes to productivity improvement and yield rate deterioration in mass production line. The system configuration adapted to the specification is possible. It's possible to read wafer ID and to production control. This system support various carrier modes. For example, division, integration, parallel sorting, and specified sorting, etc.